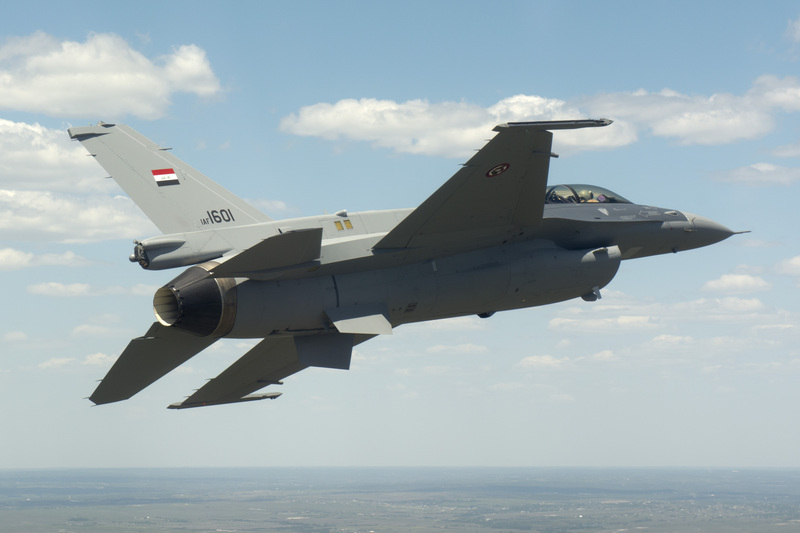 Starting this fall, Iraq will start receiving F-16 fighters, giving the Iraqi military the capability to attack al-Qaida militants who have proven to be too well armed for Iraq’s fleet of helicopters. The first two F-16s are slated to arrive in Iraq this September, according to the U.S. State Department. By the fall 2017, Iraq will have received 36 F-16 fighters, the first of which recently made its maiden flight, said Mark Johnson, a spokesman for Lockheed Martin. Johnson declined to say how many smart bombs the fighters bound for Iraq can carry. To date, 11 Iraqi pilots have trained to fly F-16s at Tucson, according to the Air Force. Capt. Mohammed Hama Ameen became the first Iraqi pilot to graduate Specialized Undergraduate Pilot Training for the Iraqi Air Force F-16 program in March 2012. Currently, the Iraqi military’s ability to attack al-Qaida militants from the air is extremely limited. The Iraqis have some Cessna C-208 propeller-driven aircraft, which can be equipped with Hellfire missiles, and they have thin-skinned attack helicopters. But the Iraqi helicopters do not have the armor needed to attack militants with the Islamic State of Iraq and the Levant, Brett McGurk, of the State Department, told Congress in February. Did they buy them or did we give them the F-16’s for free? What prevents these F-16s from being used to strike Israel??? So what prevents these airframes from being sold to or given access to by Iran? We’ve seen the Iraqi’s armed with weapons from Iran so what would prevent these advanced weapons from falling in the wrong hands?